Codenamed as “Smith“, WordPress version 3.9 was released on 16th of April, 2014 with plenty of new features expected to increase functionality and ease of usability. Existing users of WordPress have the option of upgrading their website through WordPress dashboard. Here is an overview of some features of the new updated WordPress version. 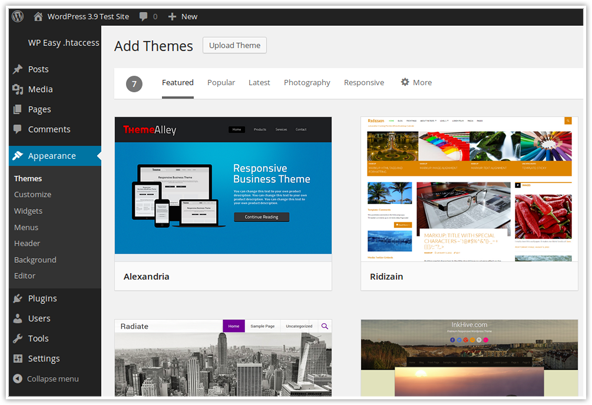 The updated version of WordPress will allow users to view live widget previews within ‘Theme Customizer’ section. Users will now have the freedom to add, rearrange and edit widgets with the help of Widget Customizer. The best part about this feature is that users will be able to view this happening on the same screen within the live preview pane. The availability of the new feature makes the theme customizer more powerful and complete. Management of widgets in the old fashioned manner will still be possible for the users. Widget Customer Plugin needs to be installed and activated for enjoying this new feature. The WordPress Visual Editor is based on the open source software named as TinyMCE editor. An update to TinyMCE was released recently and as a result of that, WordPress Tiny MCE also gets an update on the release. The update will now allow users to view live gallery previews within visual editor. When galleries are added to a post, images are displayed in a beautiful grid within the post editor. Another interesting feature is that images get uploaded automatically once they are dragged and dropped into the editor. Several other improvements have been made regarding editing and adding of images while users write a post. Users are no longer required to open a different window if they wish to edit and crop an image while writing posts as resizing of the image can be done by clicking on it and dragging the corner handles. Good news for beginners is that, pasting of text from a Microsoft Word document will no more lead to weird characters. WordPress 3.9 brings to the users the ability to create playlists for audio and video. 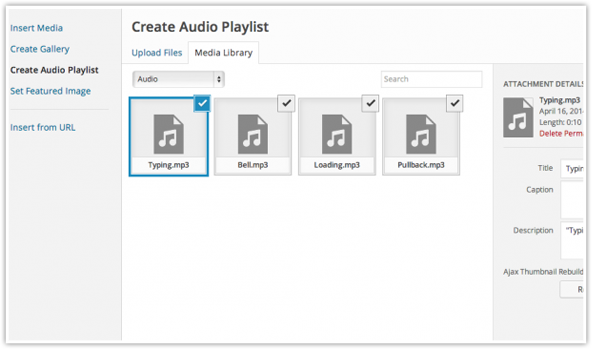 Multiple audio and video can be uploaded or added as playlist from the media uploader of WordPress. This proves to be an extremely useful feature with increasing number of rich content being published by WordPress users every now and then. The addition of this new feature may lead to more number of users hosting content natively, rather than using various systems like Grooveshark or YouTube. The new update brings with it a stylish and sleek user interface with a new experience to activate, preview and choose new WP themes. This feature is ideal for the users who are not willing to spend extra cash on buying premium themes. By clicking on the tabs, users can switch between filters, popular tags as well as search new themes from the theme directory. 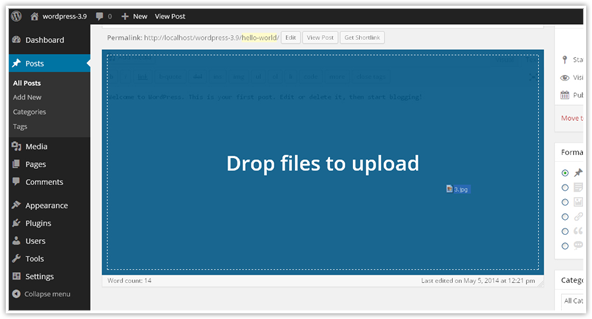 The recent WordPress update includes image crop position helping developers to decide upon crop position. Additional functionality like nonces update, logged out warning, etc. were moved to heartbeat with WordPress 3.6 update. With this update, Post data saving has been moved to heartbeat as planned originally. These are some of the updates that regular users of WordPress were eagerly waiting for, to assist with different tasks and make life easier for them.